Today’s attack surface is broader, more open, and demands a proactive approach to security, according to former RSA chairman Art Coviello. As the threat landscape changes, so too do demands on cybersecurity leaders and their teams. 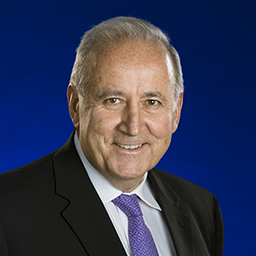 Art Coviello, executive chairman (ret.) of RSA, says today’s defenders should be more concerned about vulnerabilities in the attack surface than on threat actors’ specific techniques. “What people don’t get about the threat landscape is, it’s less about the techniques and more about the attack surface, and the number of openings that have been created,” Coviello said in an interview with Dark Reading during last week’s RSA Conference in San Francisco. From that point, the attack surfaced continued to expand and has ever since, he said. Now we’re at a point when employees are going straight from their devices to the cloud. The priority is no longer solely attack prevention, said Coviello, who serves on the Board of Directors at EnerNOC, AtHoc, and Tenable. It’s about a resilient, holistic approach, he said. One of the places where organizations leave themselves vulnerable is Web applications. With the onset of agile development, Web apps are no longer a curiosity, he said. They’re expected. The waterfall method, in which apps were delivered annually or every six months, has been replaced with agile methodology. Now, developers are creating and updating apps in real-time. Today’s dev teams are under increasing pressure to make applications safe from the start. “If you don’t build secure code in the first place, you’re in big trouble in an age of agile development,” said Coviello. If they don’t get it right, security teams face the consequences. With a larger attack surface, companies also have to do a better job of incident detection, response, and recovery. As security operation centers (SOCs) have become overwhelmed with alerts from their growing collection of intelligence systems, prevention is again top of mind. If they have enough information, security teams can spot when attackers are taking action. “The best place to stop an attack is before it starts,” Coviello noted. The influx of threat intelligence tools has driven a change in mindset from reactive to proactive security. Previously, “all of the tools were siloed,” he explained. “They only did one specific things; they didn’t add any value to each other.” Reactive security meant “plugging in the holes” between tools that left information and assets exposed. Today’s intelligence-driven security model makes it easier to identify and prioritize critical assets, applications, and infrastructure. Security controls need to add value to one another; for example, data loss prevention tools can help pinpoint critical assets. “We can’t defend everything,” said Coviello. “We have to understand what’s most important.” This means determining where valuable data lies and how an attacker might try to get it from the outside. It’s also tough to convince business leaders to adopt new technologies when they don’t understand the threats and risk. Most senior management employees don’t understand technology, he explained, and neither do executive boards. Finally, there is a need for more advanced technology to defend the rapidly expanding attack surface. “The attack surface has been growing faster than the industry has been able to develop the tools,” Coviello noted.